I received this as part of Jaclyn's blog tour in exchange for an honest review. As always, my reviews are fair and non-bias. I love everything 1920's and 1930's. There's something about those times that seemed so intriguing and magical to me. 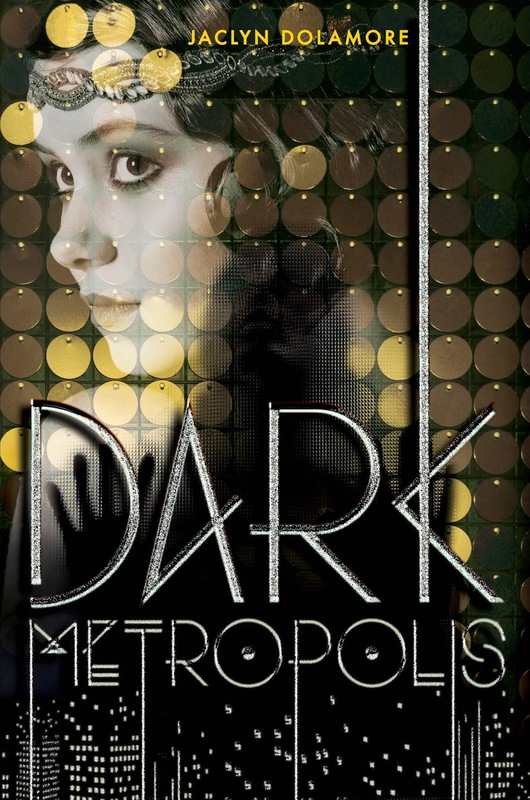 So when I got the chance to read Dark Metropolis, I was eager to jump into the magic itself! The first thing I picked up on in Dark Metropolis was how dark and bewitching the storyworld was. With it's glittering atmosphere, yet dark and thrilling side, the book was enchanting from the very start. Set in a 1930's-esque world, sixteen year old Thea's mother had been cursed by a spell that's making her insane. With no one to help them, Thea takes it upon herself to make a living for them both in a malefic city, where you can't escape the dangerous and selfish rules. She starts spending her nights being a waitress at a wicked club called Telephone Club, attending all who enter. The beginning of Dark Metropolis is fast-paced, but when Thea's best friend; Nan, goes missing, things get even more enticing. Thea will stop at nothing to find her. It's then that she meets Freddy, a patron at the club who appeals to Thea, and he agrees to help her weave her way through the city's secrets, keeping his own still. The world of Dark Metropolis is alluring, yet vicious, and it's never safe. And when Thea and Freddy close in on the city's secrets, it's far too late to turn back. I was enthalled from the very start of the book right until the last page. It was definitely the fast-paced, heart-stopping wickedness and evil clawing at every page that kept me reeled in. Thea was a brilliant lead character and seeing the world that she lived in inside DM was fascinatingly lucid. Though at times a little gory with it's dabblings in Zombies and spells, I was overall surprised at how much I liked it! I definitely recommend it to YA Fantasy lovers and of course for fans of the 1930's-esque world. Just one look at that cover and I want to frame it! Jaclyn Dolamore was homeschooled in a hippie sort of way and spent her childhood reading as many books as her skinny nerd-body could lug from the library and playing elaborate pretend games with her sister Kate. She skipped college and spent eight years drudging through retail jobs, developing her thrifty cooking skills and pursuing a lifelong writing dream. She has a passion for history, thrift stores, vintage dresses, David Bowie, drawing, and organic food. She lives with her partner and plot-sounding-board, Dade, and two black tabbies who have ruined her carpeting. PLAYLIST! 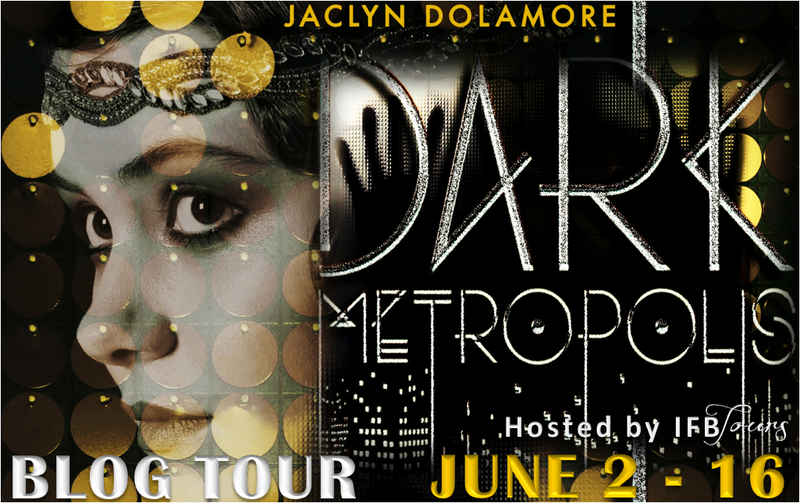 (Blogger's Choice) I've been trying to come up with songs that I felt suited what Dark Metropolis was about and yet, there isn't much music to really describe the sort of vibes that I felt it would have sounded like if music played within the book. So, I came up with a couple that I thought suited the different themes, era and style! What do you think of Dark Metropolis? 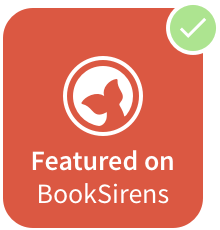 This is a nice review. Thanks for participating!